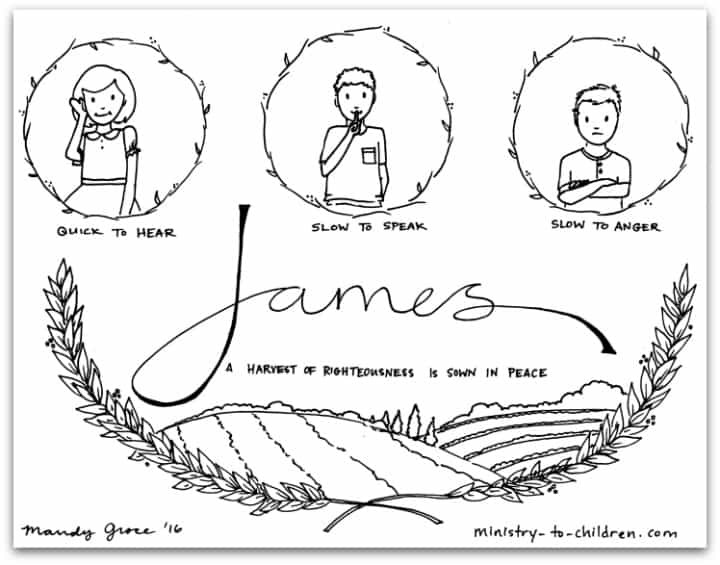 This free coloring page is based on the Book of James. It’s one part of our series of illustrations for each individual book of the Bible. Quick to hear. Slow to speak. Slow to anger. A harvest of righteousness is sown in peace. thank you so much for your web site. i ma going through the books of the bible with my children in sunday school and these free printables coloring pages have been perfect. they on on display in our room and we so many compliments on them. thank you for sharing what God has giving to you with others. Tony Kummer (Editor) reviewed & updated this page on : February 25, 2019 at 5:05 pm. All our content is peer reviewed by our readers, simply leave a comment on any post suggest an update.